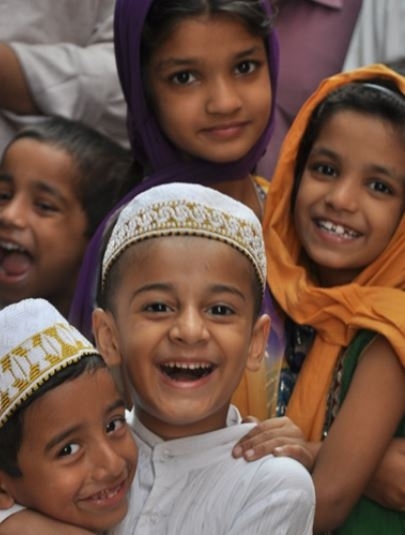 Gujarati Muslim are an South Asian Indian Muslims from the state of Gujarat in North-western coast of India. They speak the Gujarati language as a mother-tongue (first language). The also follow certain customs different from the rest of Indian Muslims. Gujarati Muslims are very prominent in industry and medium-sized businesses, and there is a growing population in the United States. Historically, each of the Muslim communities are endogamous. In India, endogamy remains important with the existence of matrimonial services specifically dedicated to the Gujarati Muslim community. However, this is not the case with Gujarati Muslim communities in the USA, where marriages outside the community are becoming increasingly common. This is largely attributed to there being a much smaller community in the USA when compared to the size of the community in India. Gujarati Muslim predominantly are Shia Muslims with a minority being Ismaili Muslim. Ask God to reveal Himself to Gujarati Muslims through dreams. Pray that evangelicals will engage Gujarati Muslims in both deed and word. Pray that evangelical Gujarati Christians will share their faith with Gujarati Muslims.